Keeping your pet dog healthy and happy truly requires a lot of work. As a pet owner, it is your main responsibility to answer to the dog's needs and there are basic things that you need to know in order to do that. As the popular saying goes, "prevention is always better than cure" and the same principle applies with your pets, too. Instead of taking your dog or cat to the veterinary clinic only when they are sick, regularly scheduled visits are much more advisable. This is the best way to prevent serious health concerns. Your pet will be checked in important areas such as dental health, weight monitoring, and parasite problems, among others. Of course, vaccination should also take place. Ideally, these visits should be done at least once a year. Speaking of parasites, treating the problem immediately is absolutely crucial. Take the time to inspect your pet daily (or at least weekly) to discover if there are any parasites on the body. Fleas are the most common and this can lead to more problems such as infection, skin irritation, and loss of hair. If your pet happens to swallow a flea, then that means you would later be worrying about tapeworms and other types of parasite. 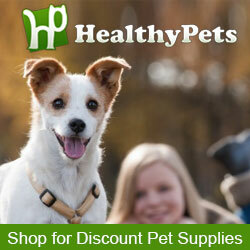 Did you know dogs that are groomed on a regular basis are healthier? In addition to its health benefits, grooming can have aesthetic benefits too. This is especially true for dogs covered with lots of hair. Shih Tzu, Cocker Spaniel, Poodle, and Maltese; these breeds need frequent grooming to achieve a healthier, more beautiful coat. General Tips Tools required: dog shampoo, towel, conditioner (optional), waterproof apron (optional), scissors/clippers, brush, treats. Â Give your dog treats and praise as you work. It will make it more enjoyable for both of you. You can give him treats periodically or a long-lasting rawhide treat or toy with treats inside. It helps to start grooming when they’re young to get them used to it. You should also pay attention to what your dog does and doesn’t like. If your dog hates nail trims, do that part last. If he loves getting brushed, make sure to spend some extra time brushing his coat out. You can also add in a littlemassage timeÂ at the end. If you have a dog with a thick coat, you might notice how skipping on their grooming schedule can lead to their hair becoming clumped and matted like dreadlocks. This can be very painful for dogs because there is a pulling force resulting from the tightening of the hair clumps. In addition, skin conditions are likely to develop as well. This is due to the breakage of the skin as a result of the tightened hair clumps. Sores are also likely to develop under the matted hair. For dogs with longer or thicker coats, it is highly advisable to do a complete brushing of their hair before bath time to avoid getting water into the matted hair. If water gets stuck in the clumps, this can cause the buildup of mold and cause the hair to rot. Over time, this type of matting will be very difficult to brush out. Dog breeds like Labrador, Beagle, and German Shepherd have short to medium coats. Still they need regular grooming to keep their coats looking shiny and healthy.